Today, October 30th, is my dad’s birthday. Yes, if you’re keeping score at home, my parents’ birthdays are five days apart, each born in 1935. Yes, my mom robbed the cradle. 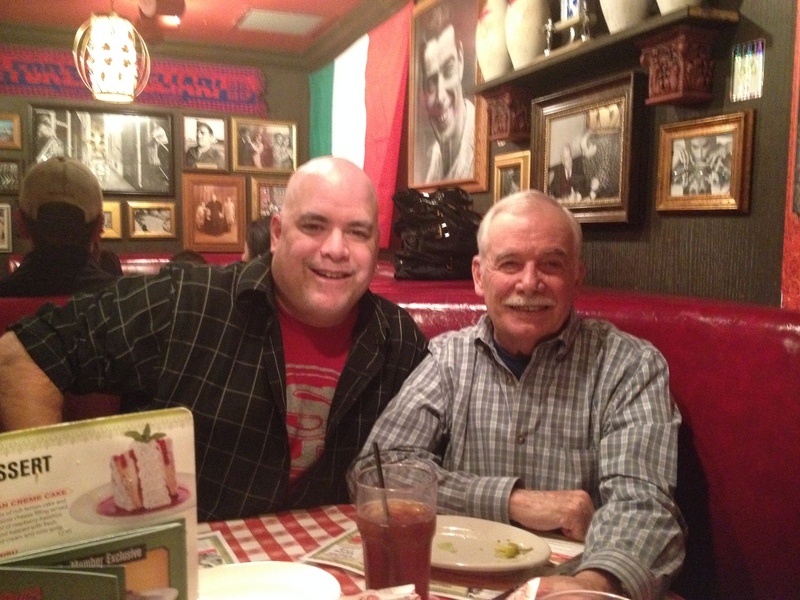 As I have done for my mom, I have written many posts about my dad. I’m not going back to review them, so please forgive me if I inadvertently repeat some of my thoughts and memories. My dad is an understated, humble man. Highly, highly principled. He was a bit of a thrill seeker in his younger years, which carried over into his professional career as a cop in San Francisco. In the 60s and 70s, being a cop in any city was not for the faint of heart. But in San Francisco, it was an especially volatile time and place to be in law enforcement. In his private life, Dad was a little league baseball coach who eventually rose through the ranks to become the president of the league for several years. He also built numerous haunted houses for my schools, floats for the Boys Club during the annual city parade, as well as dressing up as Santa Claus to entertain and amaze children. Together with my mom, they were an amazing team. In later years, after Dad had retired from the police force, they bought a motor home for the purpose of making numerous trips to a Mexican orphanage for which they were on the Board of Directors. They loved those kids with such a heart of tenderness and compassion. After a career of seeing the worst in humanity, he easily saw the best in children. At nearly 60 years old, my dad approached my mom about a radical direction he felt God was leading them. He asked my mom to begin praying about the possibility of moving to Costa Rica to begin a ministry there. For a year, they prayed. They made frequent visits to the area they felt would be their eventual home. They then bought some land down there. And that’s about all that could be said about it. It was land. A hillside cow pasture, to be more precise. After they had made their move to Central America, they transformed a cow pasture into a well-manicured paradise. I’m sorry that I don’t have any ‘before’ pictures, but this ‘after’ gives you a little idea of the natural beauty of only a sliver of the land on which they worked so hard. It’s hard to tell anything by the picture at this size, but this land was beautiful. None of the structures existed before they bought the land. The house at the top of the picture was their home. The purpose for this land, and their being in Costa Rica, was to minister to pastors and their wives. It wasn’t a retreat center. It wasn’t a place for pastors to vacation. It was a place for them to get counseling, seek God, get good teaching, good meals, and love. Many came with serious marital problems. My parents saved many marriages and ministries in their years in Costa Rica. Something they were too humble to talk about. While they intended to live the rest of their lives there, my mom’s health became a factor. After eight years there, they were forced to return to the United States in order for my mom to receive better medical care. It broke their hearts to leave, but they made an incredible impact in such a short period of time. The next several years were the most amazing years, in my opinion, of their entire marriage. As my mom became less and less independent, my dad had to take on the role of caretaker and homemaker. 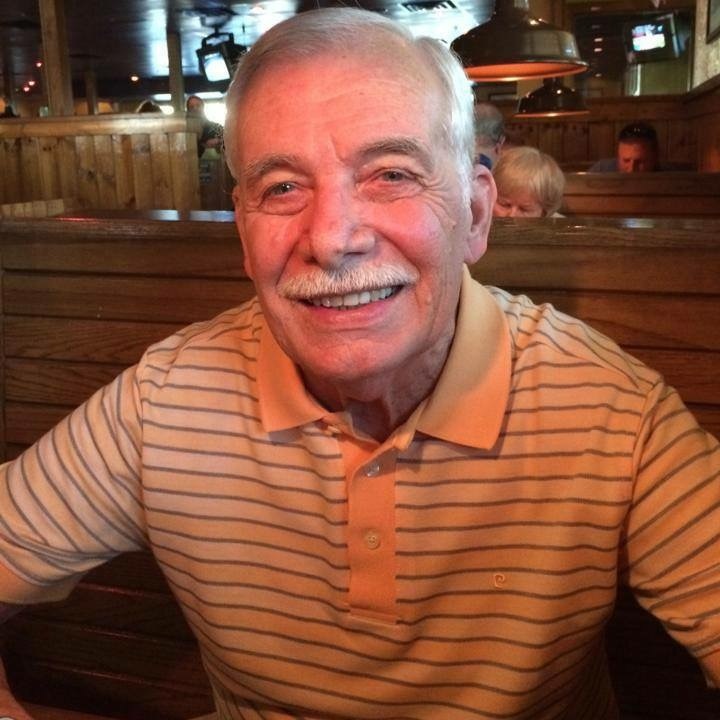 This man among men, who never had to make a sandwich because my mom was always willing and able, now had to learn to cook, do laundry, and all those other chores that my mom took care of as he worked. As she continued to deteriorate, the things he had to do to take care of her had to be awkward for each of them. But love, true love, sacrificial love empowers you to overcome any and every obstacle. My dad has always been my hero. But never more than in those last years in all he did to take care of the woman who brought me into the world. He completely gave up his life in order to do anything and everything he could to take care of her. The way he watched over her, prepared her substantial regimen of pills each day, fed her, helped her dress and undress. Absolutely heroic. At the same time, he was no spring chicken. He has his own health issues. But he would wear himself to the bone to take care of his Love. Mom has now been gone for four and a half years. The woman God brought into his life long before he would completely understand why, was no longer by his side. My dad, who couldn’t speak a word of Spanish, was married to a woman who spoke it fluently. No big deal, until decades later when they would take on such active roles in Mexico and Costa Rica. God knows what we need before we do. My dad is a giant. Not in physical stature. I am much taller and larger than he is. But he casts a tall shadow in every other way. His influence in my life is immeasurable. The man he always was, and the man he became in the face of extreme heartache is the greatest example of the attributes of love, listed in 1 Corinthians 13. I pray I can be half the man my dad is. His life has been, and always will be an inspiration to me. What an honor to be the son of a man of his stature. If you’ve been reading my posts over the past couple of weeks, no, I haven’t been auditioning for Harlequin. I admit, I am a sappy, sappy man. I have been criticized by men and women throughout my adult life for being a deep feeler. It makes some people uncomfortable. Transparency makes people feel awkward. I’ve received well-intentioned advice from female friends that I need to be more of a ‘bad boy’ in order to attract women. As Leo Durocher famously said, “nice guys finish last”. Male peers look at guys like me with a skeptical eye, as if maybe we’re confused about our gender identity. Finally, a few days later, my dad relented and took me to the doctor. When we returned home, I emerged from the car with a cast from my hand all the way to my shoulder. My mom watched us through the living room window as we made our way up the driveway. I had this cool cast, my trophy for my broken arm, and was grinning from ear to ear. It wasn’t until I was an adult when my mom told me my dad had the guiltiest, most remorseful look on his face. See? He has a heart! God gave us emotions. Whether it’s love, anger, sadness, fear, excitement or happiness, God intended us to experience a wide range of feelings. The key is to embrace them, but keep them under control. We can’t let them control us. Any of these emotions can lead to impulse issues. We must control these impulses. However, there is nothing wrong with feeling and expressing our emotions, when appropriate. In the past week, many of you have shared with me your emotions, and how you were touched by the content of my posts. Many of you have paid me very nice compliments about my writing. I don’t even know how to tell you how much I appreciate these comments. The only thing I know to say is that what you’ve been reading is a direct result of accepting and utilizing the way I’m designed. As such, I try to harness my emotions to communicate through my writing, my singing, my speaking, and my actions. God has used my sensitivity to connect with teenagers with self esteem issues. With kids with special needs. With the elderly. With people enduring heartache. And now, God is using my tools in a new and special way for my own life. For men, young and old, it is not a indictment on your masculinity to express sensitivity. We must embrace it and express it. Being Mr. Macho is fine with the guys, but not so much when you’re with your mother, wife, girlfriend, daughter, etc. I have worked with kids of all ages, and so many boys feel guilty and confused if they show love or sadness. Whether it’s peer pressure, or something they’re conditioned to think by their culture at home, there needs to be some teaching to boys and young men about how to express their emotions in a healthy way. Harnessing emotions comes with maturity. Believe me, I’ve had to learn from a lot of my own mistakes and heartaches. God is faithful, however, to take these things and use them for His purpose. But that is just so God. The Great Improvisor. He makes us all different. We all have our own skills and tools. The important thing for each of us is to utilize the gifts He has given us to serve something bigger than ourselves. Others may do things differently than we’d do it, and that’s okay. God will use me in ways He may not use you, but He’ll also use you in ways He won’t use me. Be who you are. And please, encourage kids to be who God designed them to be, even if it’s different than we are. God will bless and use them in special ways. For each of us, we need to yield back to Him what He has given us. I have seen far too many people give up on something by caving in with that way of thinking. We sometimes see obstacles as being detour signs. I’m not sure why we expect that God’s will is going to be paved in cashmere with free pizza and your favorite beverage all along the way. The pathway to God’s will is going to be challenging. By definition, our journey is going to test our faith. It is going to require us digging in, fighting our human tendencies to lose faith. I believe that adversity is God’s way of showing us just how important our dreams are. If they’re not worth fighting for, then they’re not that important to us. If our dreams, if pursuing God’s will for us is really, truly our passion, there is nothing that will keep us from it. If you’ve ever been at, or watched a track meet, you may have seen a hurdles race. You may have even stood next to a hurdle. They are challenging, for sure. Even the best runners get tripped up from time to time. But the thing is, the purpose of hurdles is not to stop you. They are there to be jumped over! They’re not meant to be easy. They should be difficult to get past. But to reach the goal, you will have to go over them. 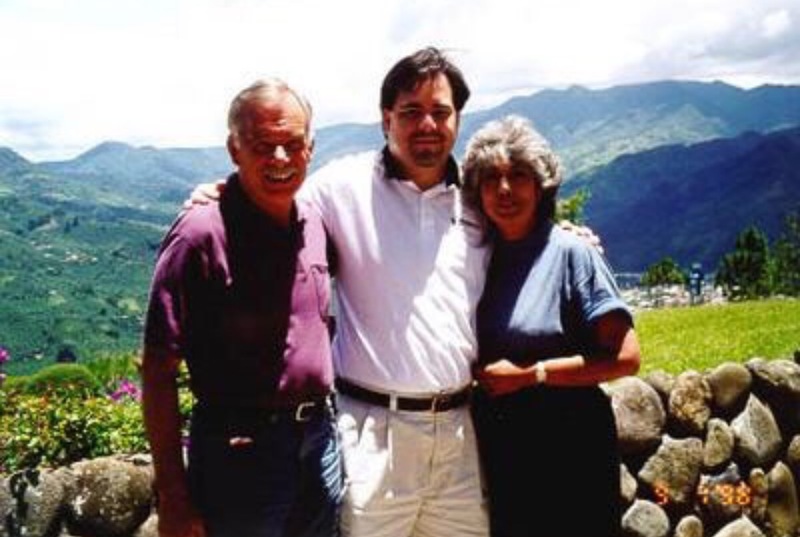 Years ago, my parents sold their home and most of their possessions in order to move to Costa Rica to start a ministry there. Whether it was governmental red tape, or outright dishonesty and thievery, they met many, many obstacles along the way. It literally lasted the first two years they were there. Uncharacteristically, my dad confessed to me that he was beginning to question whether they had made the wrong decision in going there. In a moment of spiritual clarity, I let him know that what they were doing was of spiritual significance. That means they were in the devil’s crosshairs. If what they were doing was a mistake, he would simply let them go on their merry way. He wouldn’t put up any interference. I think of the life of Joseph in the book of Genesis. After all his brothers put him through, he had a heavenly perspective. When his brothers ultimately and humbly threw themselves at his feet in guilt and grief, Joseph said in Genesis 50:20 You intended to harm me, but God intended it for good to accomplish what is now being done, the saving of many lives. Are your dreams worth fighting for? Is God’s will important enough to you that you’ll deal with any obstacle that comes your way? No matter what anyone else says or does, do you have the conviction and faith to stay the course? Do you have a heavenly perspective?